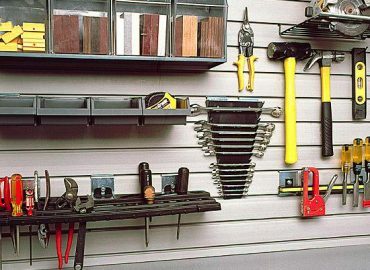 Organise Your Garage Wall with Shelves, Brackets, Baskets, Hooks, Bags and Boxes. Spend $660 for FREE DELIVERY in Melbourne. Spend $1500 and enjoy FREE DELIVERY to any Capital City. 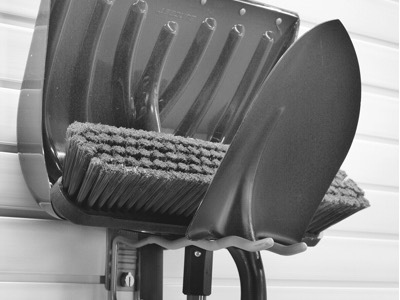 StoreWALL offers an extensive range of garage hooks, deep and shallow baskets, bins, shelves and brackets. 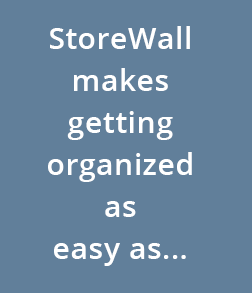 Expand and organise your space with wall-mounted storage solutions from StoreWALL Australia. Organise your office, garage, workshop or laundry with StoreWALL’s superior garage storage solutions. accessories locked in place… until you decide to move them. We offer a great range of finishes to suit your room. There’s a look for every space. 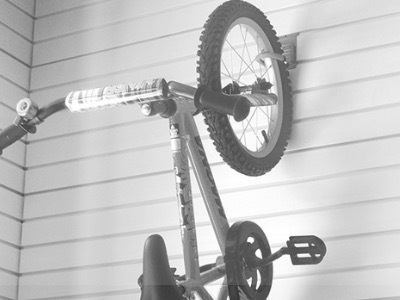 Trust the things you value to StoreWALL, the best value in garage storage solutions. Getting started is only a few steps away. 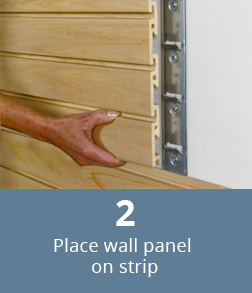 StoreWALL makes it super easy with our step by step guide so that you conquer your garage. StoreWALL offers the most customisable slatwall panel system enabling you to securely add hooks, brackets, shelves and baskets to store your belongings. Then update and change it whenever you need to. 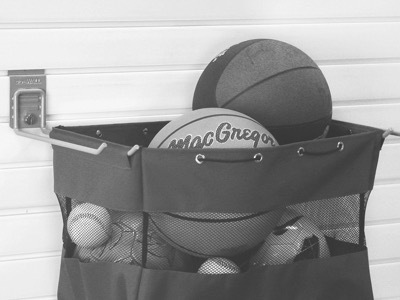 Whether its for you garage, workshop, laundry or gym room, we can help you get organised. With superior materials and construction, our products are industrial grade and built to last. StoreWALL systems are constructed to hold your heaviest items (90KGs or more). Our waterproof thermoplastic won’t weather, scratch or fade. The exclusive CamLok™ technology secures items to your new wall. 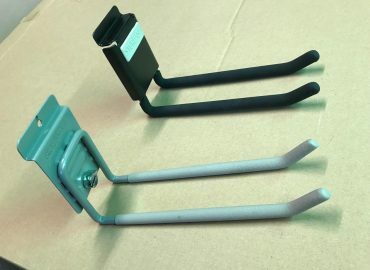 The combination of StoreWALL secure accessories available is endless. We have over 40 varieties of industrial hooks, bins, baskets, shelves and brackets. All accessories are made of industrial steel. Move them around, remove them and add them. Its easy, safe and secure. your room. 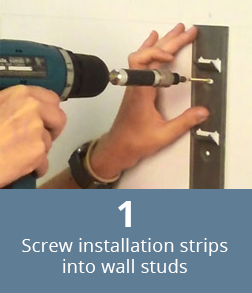 Our Installstrips ensure your new walls are solid and ready to support your heaviest items. The finish is clean without drill holes, a professional look. Learn more about how to get started. StoreWALL offers solutions for every space, large and small, indoors and out. The durability of our slatwall panels is second to none. Made from Thermoplastic our panels are 100% waterproof, mold, mildew, stain resistant, and easy to clean. Supported by our Installstrips the finish is clean and the strength allows you to hang and hold items as heavy as 90KG from your wall. Once installed you’ll wonder how you organised without it! 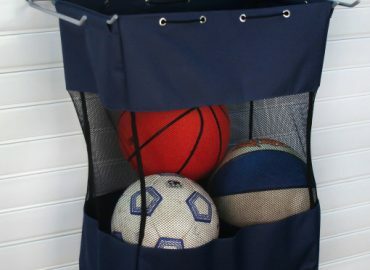 Browse our products and build your own customised hanging garage storage system. Check out our weekly news covering our garage solutions and how to get great value from our slatwall panels and accessories. Design ideas, new products and our special offers are all covered. Learn more about our great garage storage solutions through our regular videos showcasing how our slatwall system works, the CamLok locking mechanism and our great range of storage accessories.